DHEA micro liposomes contain extracts rich in estrogenic plant hormones, stimulating hormone production in the body, improving elasticity of skin cells, reducing wrinkles, reducing discolouration and giving the skin a homogeneous color. Microliposomes are a very small molecule of liposomes that penetrate deeply into the skin. 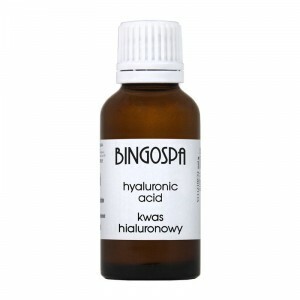 BingoSpa Cream is recommended for persons with sensitive skin, who can not tolerate chemical filters. The cream lightly and evenly distributed, without causing smearing effect. 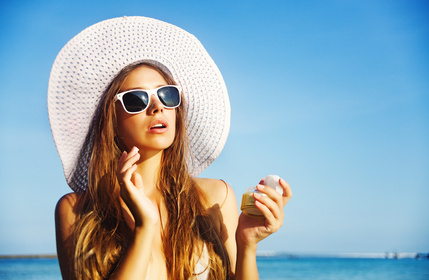 It is recommended to apply the BingoSpa Cream every two hours, especially during intense exposure to UV radiation. After Sun Cooling Gel with Aloe Vera to soothe inflamed skin, relax tired skin. BingoSpa cooling gel contains aloe vera, peppermint oil and D-panthenol soeffectively produces an immediate effect of cold on the skin. Cocoa butter for fast tannig enriched with almond oil, shea butter, olive oil and D-panthenol prepare your skin for a meeting with the sun. BINGOSPA Gentle Face Cream 35+ - Vitamin C, Argan Oil, Vitamin E.